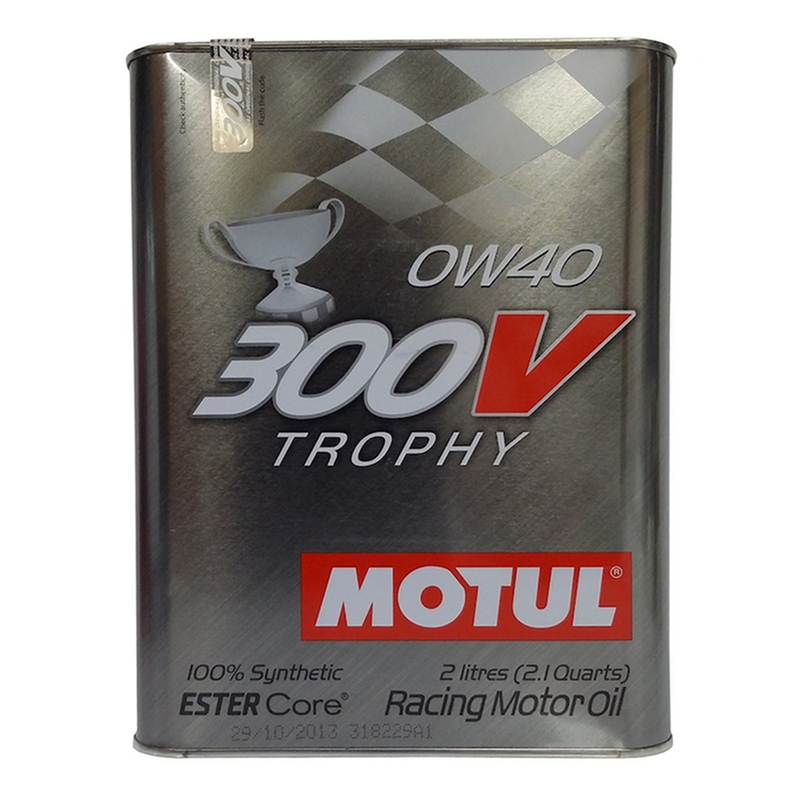 Motul 300V - Motul's flagship, top-end engine oil - is designed for racing cars with atmospheric or turbocharged engines, race or qualifying engines operating at high temperature in a wide range of rpm : Qualifying sessions, drag racing, race on tracks, single brand races, rallyes, uphill races. Motul 300V Chrono 10w40 engine oil is a racing lubricant for racing cars. 100% Synthetic – Double Ester Technology. Engine producing medium fuel dilution in the oil. Other applications : Gasoline or diesel engines, turbocharged, direct injection and catalytic converters.